Fits GM 1997 and up models. Can be used with HGM Compushift Controller for transplant applications. Transmission shipped without speedometer driven gear or housing. Legendary B&M transmission for street use. 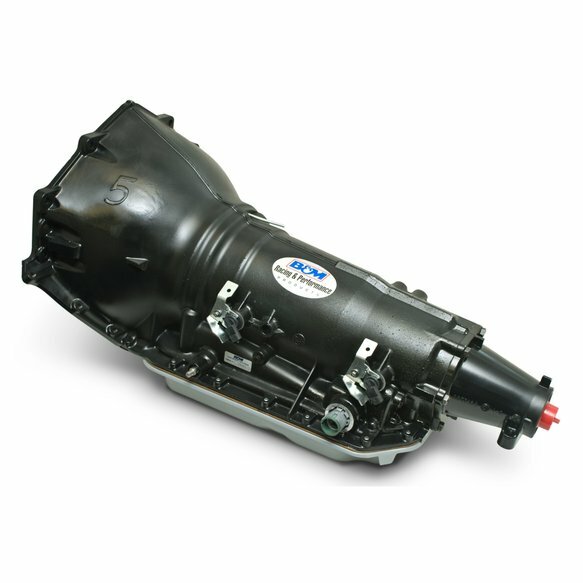 B&M's Street Strip transmission is a complete ready to run unit (less converter) for high performance street and mild strip use. The transmission provides firm shifts and features a standard shift pattern, these are the finest available for street and strip use. The Street Strip GM 4L80E automatic transmission fits GM models 1997 and up and has a 34 element intermediate sprag, high energy intermediate band, new overdrive sprag assembly, new low roller assembly, performance friction materials, all new solenoids and wiring harness, recalibrated valve body, performance pump assembly, steel forward hub and a 800 HP maximum. Can be used with HGM Compushift controller for transplant applications. Max 800 HP / 650 Ft/Lbs. Max 800 HP / 650 Ft/Lbs.